With little to no sewing experience, this DIY Reversible Apron can be completed in less than an hour. 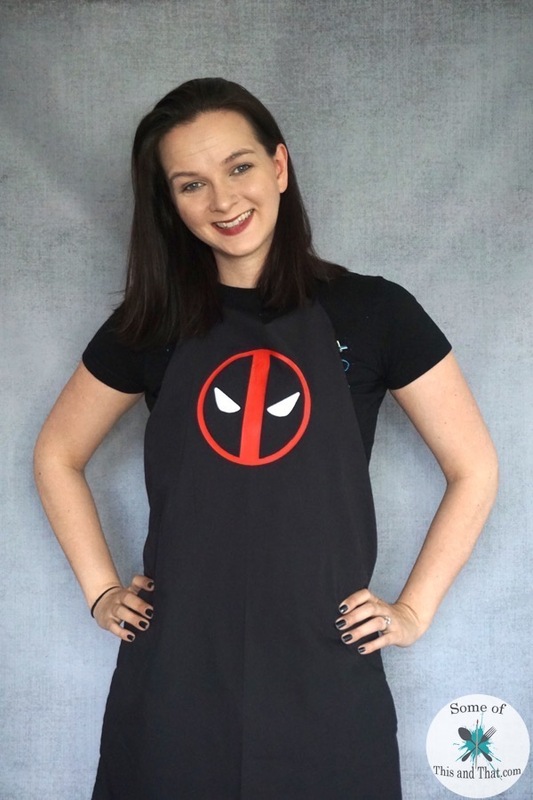 This apron is perfect for the beginner and is so easy that you can knock out a few for gifts. 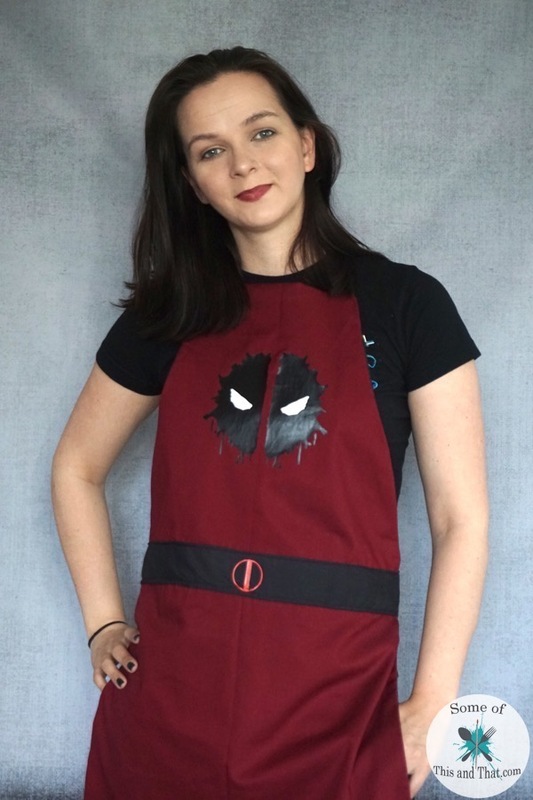 I added the Deadpool decals using vinyl, but there are many ways to make this apron your own. From fun pattern combinations, or decorating them with freezer paper patterns. 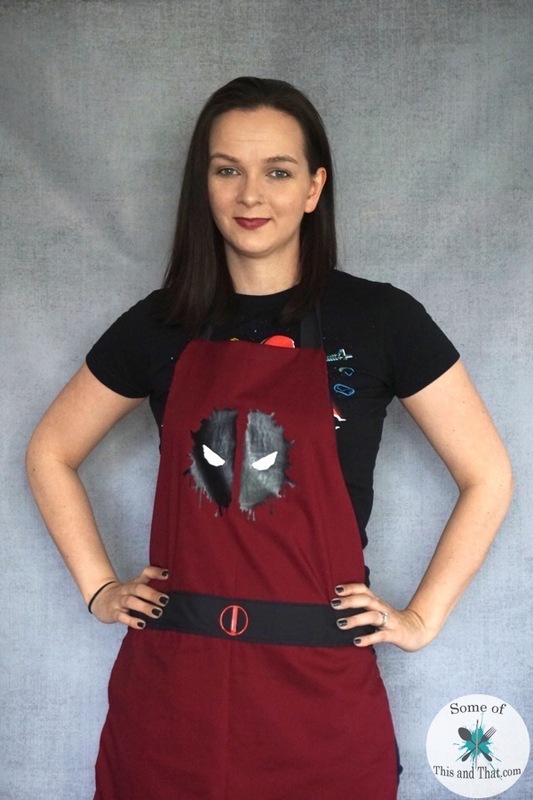 To make this apron, you can grab the free template below! Check out how I made this DIY Reversible Apron in the video below! I love how this apron turned out, and I can not wait to make a few more. I have a small addiction to aprons, probably because I use them all of the time. I am a messy cook, and an even messier crafter, so it saves my clothes from being ruined. 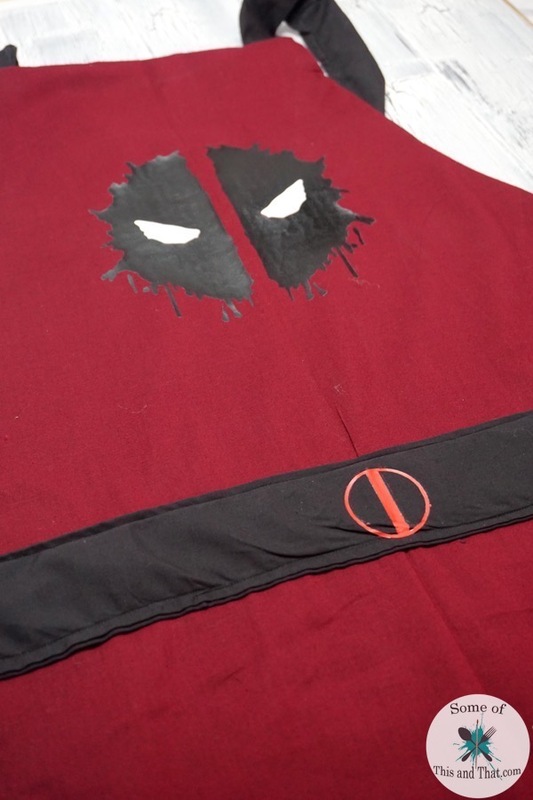 Be sure to check out all of our other DIY Nerdy Crafts, as well as our YouTube Channel. We post videos over there twice a week! Previous Post: « DIY Bleach Stain Shirt! | Nerdy Crafts! Thanks for this pattern. 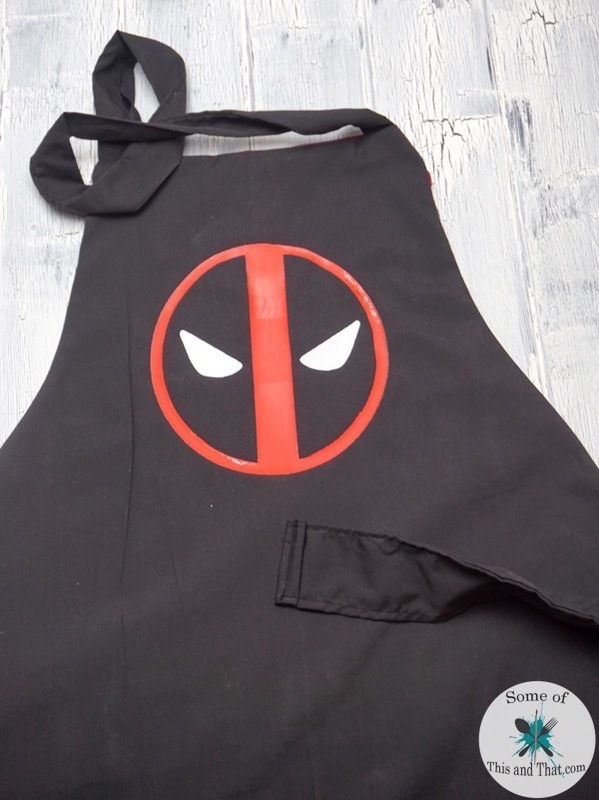 Your aprons rock. Thank you so much for the apron pattern! I can’t wait to make one. Many of the other ladies in the church kitchen have an apron, and I’ve wanted one of my own for quite awhile. I’m excited to make one! I just bought the CUTEST fabric at my favorite Fabric Patch store in Ephrata, WA so I’m going to make an apron from it!